Are you going to Brighton Beach in Australia this weekend? 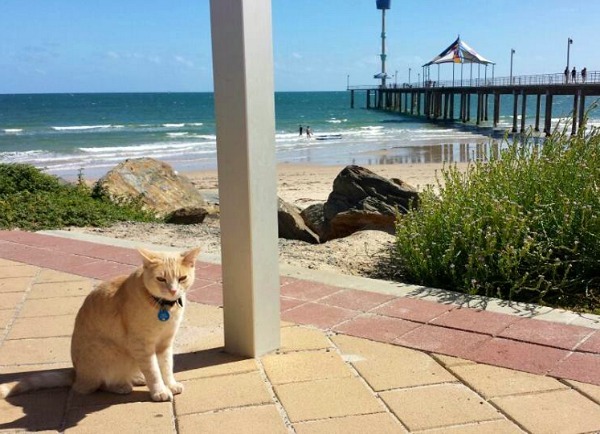 Chances are you'll come across King the beach cat. 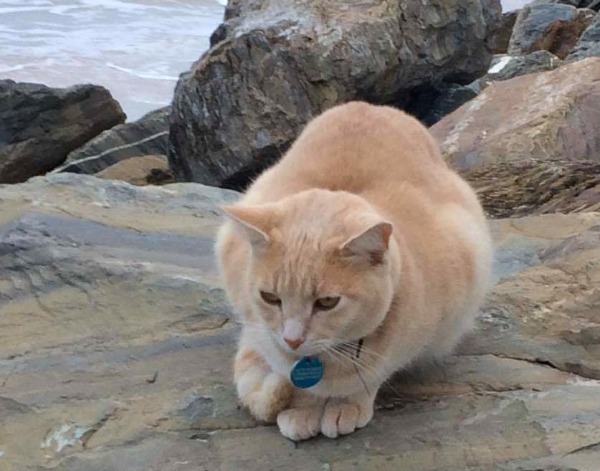 But don't expect to be the only one to want to pet him, because this champagne-colored tabby has become a bit of a legend around this coastal suburb of Adelaide. You see, King needs his daily dose of "vitamin sea." 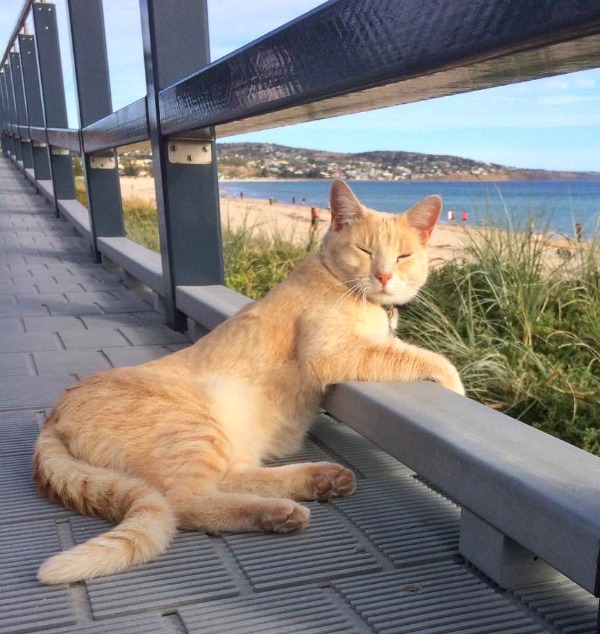 He can often be seen lounging on the benches overlooking Brighton Beach and brushing along the legs of alfresco diners on Jetty Road. He belongs to eight-year-old Milly, who says King can sometimes go missing for days and then come back when he's really hungry. If his family wants to spend quality time with him, they have to go to the beach. King is very friendly and can often be found playing with tourists. 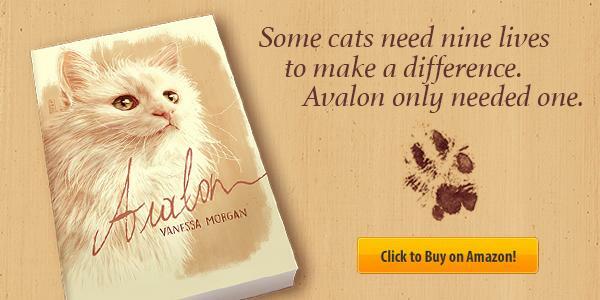 "Normally, if we're with him, a lot of people come and ask if they can pet our cat," his owner says. 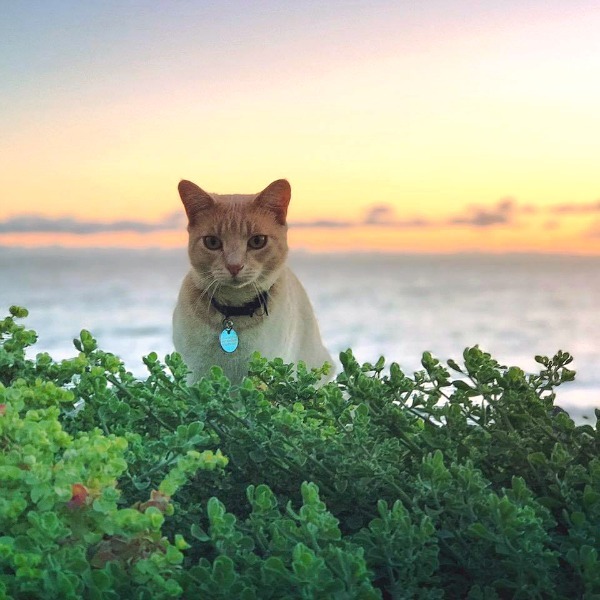 King has a tag on his collar letting people know that he goes to the beach during the day but comes home at night. Yet people often call his number on the other side of his tag to report finding him. It's nice that people do that. 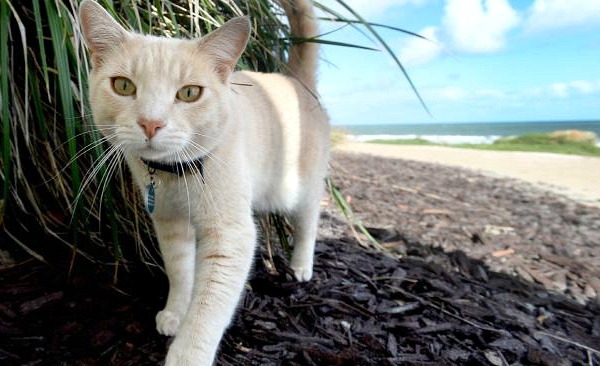 However, no one needs to worry, because King is exactly where he wants to be: on his favorite Brighton Beach.